So here I am back home at 2:00am writing my thoughts on The Martian. The running time was pretty long, but it passed by pretty quickly. As a SF movie fan, astrophysics fan, space fan, Ridley Scott fan, and Matt Daemon fan, I brought with me not only my popcorn, but also great expectations upon entering the theater. 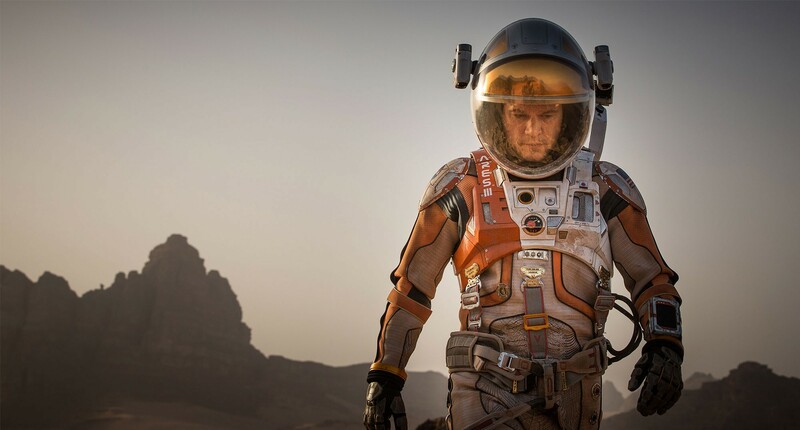 I knew this movie was going to be about human survival in Mars, but that prior knowledge didn’t bother me from being totally engaged throughout the film. I was worried Ridley Scott was going to kill Matt Daemon at some point because I mean he’s Ridley Scott. I was glad he didn’t. Instead the movie kept a happy, hopeful atmosphere throughout, almost equal to a fairy tale. I was one of the earth people who wanted the man bigger than the planet itself to come back home. I would have enjoyed the movie even more if the movie told me more about the psychological changes to a man left alone in some place 55 million km away from everyone else. Exchanging cliche movie jokes with his crew after a year of separation was, well, too Hollywood-ish. I would cry like a baby like Matt Daemon in The Interstellar. But that’s just nitpicking. The visual realization of Mars, right on sound effects, and physics weaved together to bring Mars into a movie theater. (But why didn’t I feel the 0.375G gravity of Mars!! Well I’m nitpicking again). Anyhow, it was a great movie, though I liked the Gravity and the Interstellar more since I like they had deeper philosophies. And I’m looking forward to the Prometheus II. I hope it’s a bit darker and less hopeful than the Martian.